Consistent and instantaneous communication are more important today than ever. For your business to succeed, you need the ability to connect with your team at a moment’s notice. In the Field or in the office, the Tridon Connect Network keeps your entire operations in touch with just the push of a button. We’ve built a wide area digital communications network that provides trunking, voice and data support, unlimited talk times and no per-minute charges, plus the capacity to support your growing operational needs. The Tridon Connect Communications Network covers multiple regions. It supports couriers, manufacturers and construction projects throughout the Greater Edmonton Area and, further north, in Fort McMurray and across the Alberta Oil Sands, Tridon Connect supports the mining, transportation, drilling, forestry and construction projects that help keep Alberta running. Push-to-talk (PTT) radios also align your communication practices with today’s distracted driving legislation. Criminal charges and increased insurance costs are the risks you face when your employees use cellphones while driving. Across Alberta, distracted driving laws only permit the use of hands-free devices that are activated with a single touch. Tridon’s Connect Networks Push-to-Talk functionality makes your communications safe for the road, so your team can focus on the job at hand. Our Network Operations Centre monitors the network 24/7/365. Local support – tower climbers, communications engineers and manufacturer-trained technicians – are immediately deployed in a communications emergency. And, Tridon Connect has been built with redundant systems that come online during an outage, further reducing the cost of potential downtime and lost productivity a lack of communications can cause. Add to all this the fact that, the network is fully licensed by Innovation, Science and Economic Development Canada (ISED, formerly Industry Canada). That means your solution is available at a moment’s notice. Our two-way radios need less repair and replacement, making downtime a rare occurrence. There’s also no need to search through an endless list of contacts—push one button and talk instantly. Use the group-calling feature to reach your entire fleet, or segment groups for increased efficiencies. If you’re taking on a special project or job, our experienced team can add on temporary radios with ease. And, you can feel secure knowing your network is protected through our private, encrypted system. To get your workforce connected, our team brings decades of two-way radio experience. Whether you’re a small business or a large enterprise, our specialized expertise allows us to customize and scale your coverage alongside your company’s needs and requirements. Your business needs a solid communications network to succeed. We’ve built one, so it can. Call today for more information and to set up a demo. Your business needs a solid communications system to succeed. We’ve built one. 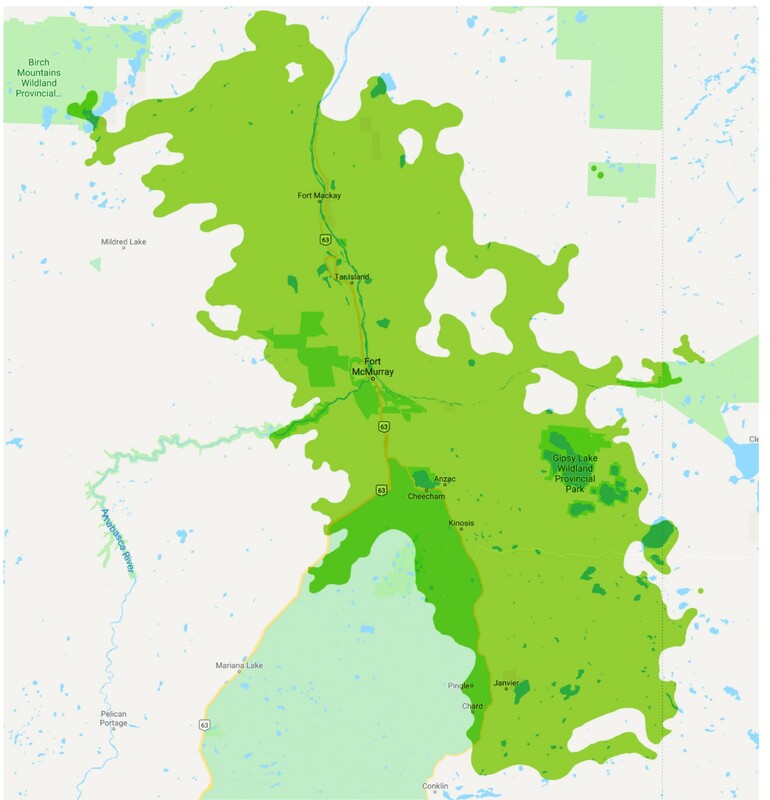 A coverage area that spans the greater Edmonton area, Fort McMurray, Fort Mackay and the Alberta Oil Sands. Capacity to support Kenwood and Motorola portable and mobile radios. Trunking, voice and data support. Unlimited talk time and no per-minute charges. Capacity to handle the load of your growing operational needs. No monitoring, maintenance or service requirements – our team of engineers, technicians and tower climbers do it all for you. Tridon Connect is fully licensed by Innovation, Science and Economic Development Canada (ISED, formerly Industry Canada). That means the minute you subscribe to our network, your radio is industry-approved and ready-to-go.